Dr. Hicham Riba is a pediatric dentist, researcher, author and realtor with over 16 years experience in the field of dentistry. Prior to starting his private practice, Dr. Hicham Riba received numerous accolades for his work as an instructor, writer and clinical researcher. Dr. Hicham Riba demonstrated his commitment to helping young people by obtaining certification in 2002 to practice as a pediatric dentist. By treating infants, children and adolescents on a daily basis, he has turned his dream of improving the lives of future generations into reality. 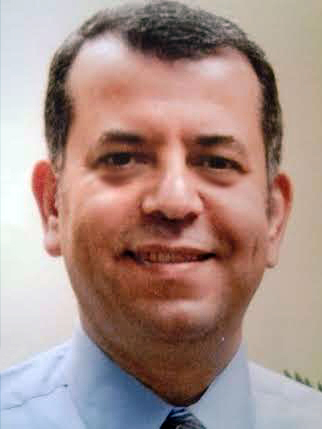 The career of Dr. Hicham Riba began promisingly at Tishreen University, where he graduated near the top of his class with an advanced dental degree in 1989. After relocating to New York City during the early 1990s, Dr. Hicham Riba entered the College of Dentistry at New York University. He eventually stepped into the position of clinical instructor, serving a broad range of students in the field of pediatric dentistry. Dr. Hicham Riba later expanded his academic efforts by becoming a researcher for the university. After two years of intensive training and education, Dr. Hicham Riba received certification in pediatric dentistry from NYU in 1994. He elected to continue his progress into higher education at the university’s oral microbiology department. There, he earned high praise among instructors and colleagues and eventually received a Master’s diploma for his considerable efforts to the department. Dr. Hicham Riba was particularly noted for his role as a highly intelligent presenter and researcher after offering his research at the 1993 and 1994 editions of the Greater New York Dental Meeting. Dr. Hicham Riba also shared research findings from his Master’s thesis to a worldwide audience of dental practitioners at a scientific consortium held in Scotland. In the last decade, Dr. Hicham Riba has emerged as a key contributor, researcher and author for a host of nutritional and dental print publications. In particular, his research has been shared with an international audience in the Annals of Nutrition & Metabolism, as well as the European Organization for Caries Research. High atop the résumé of Dr. Hicham Riba include certifications from American organization Invisalign, Inc., along with the United States Dental Institute and the American Board of Pediatric Dentistry. Each of these honors has cemented the status of Dr. Hicham Riba as one of the foremost dental professionals currently practicing in the United States. An astute observer of new technology and its tremendous benefits, Dr. Hicham Riba continues to invest his time and energy into learning more about the latest enhancements now available to the dental community. He consistently seeks out education and guidance from his fellow pediatric dentists by engaging in a wide variety of dental groups and organizations in Illinois and throughout the United States. As an enthusiastic supporter of the American Dental Association, Dr. Hicham Riba is part of a nationwide organization dedicated to dental practitioners in each of the 50 states, as well as the District of Columbia and Puerto Rico. Dr. Hicham Riba is committed to working with many members of the organization’s Board of Trustees and House of Delegates to further advance the prospective development of his field. Adding to his collection of professional accomplishments, Dr. Hicham Riba holds membership credentials with two of the most respected organizations in his field: the American Board of Pediatric Dentistry and the American Academy of Pediatric Dentistry. Eager to improve his knowledge and skill set in the dental profession, Dr. Hicham Riba plays a hands-on role in local organizations such as the Illinois State Dental Society. The Illinois State Dental Society is vital in the career development of 6,300 professionals from Chicago to Cairo, including dentists, dental assistants, dental surgeons, lab technicians, hygienists and students. Dr. Hicham Riba regularly convenes with fellow participants in the Chicago Dental Society to discuss the latest news affecting their profession. A long-time champion of environmental matters and green living, Dr. Hicham Riba devotes many nights and weekends to an urban development project that he shares in collaboration with researchers and students at the University of Illinois at Chicago.